trim plate will be different . But only a few places will get the 73-78 style, oh & the speaker only in the Center. 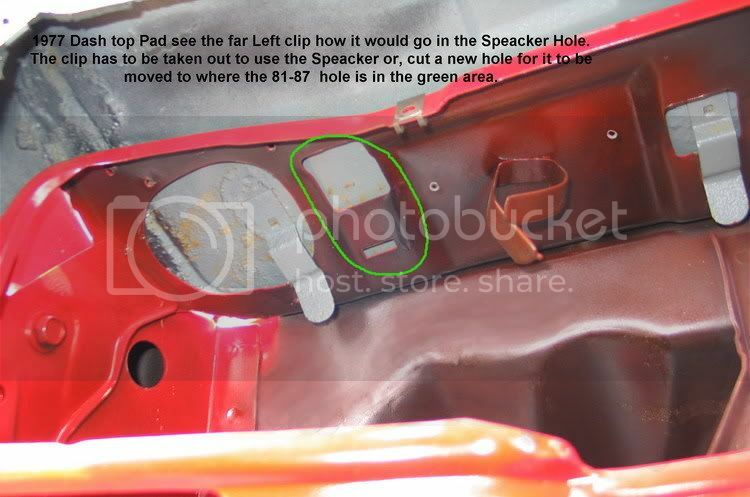 The 79-80 will fit the 73-78 but have the Vin hole cut out, oh & the speaker only in the Center. The dash in the 73-80 are more rounded on passenger side. The 79-91 are more flatter on passenger side. And the dash insert 73-80 do not fit the 81-87. The Vin plate is in the corner on the driver side. 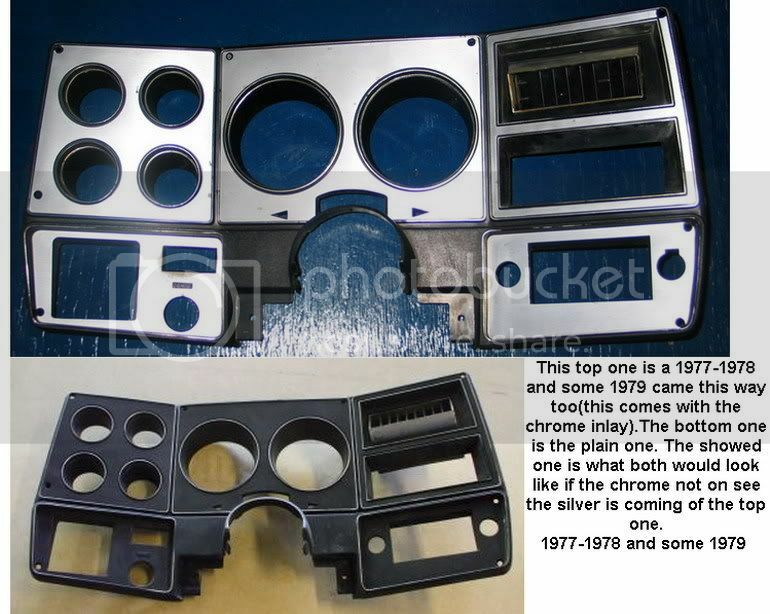 The 81-87 Face Bezels will not fit tight on the 73-80 Dash pad. have to use the 73-80 face Bezel. The 81-87 Bezel sit about 1/2"
from the edge around bolting area of the Bezel. uses the left front speaker. Unless you take out the driver side dash clip. fit tight to the older dash. 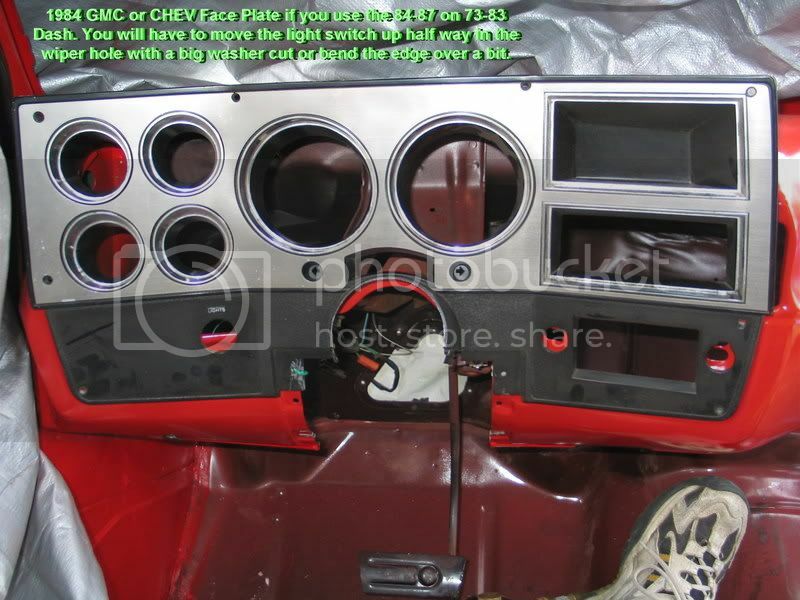 Compared to the 73-80 Dash pad. 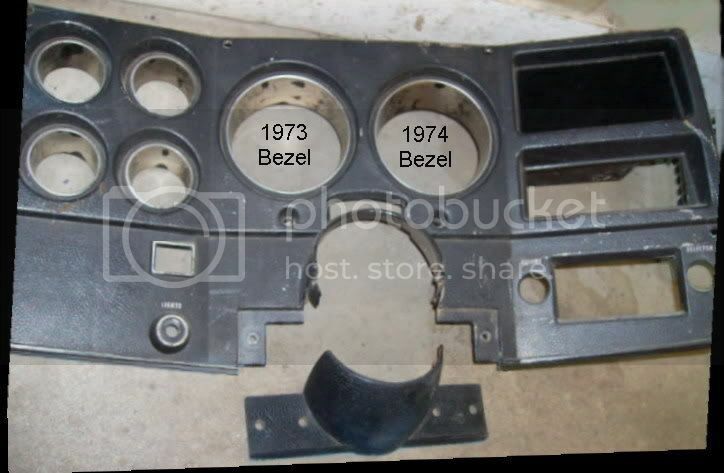 The 73-80 Dash Bezel & amp; the 81-83 Dash Bezel all have the wiper switch on the dash Bezel. light switch was moved up a little from the 73 - 83 bezel & the the metal dash backer. 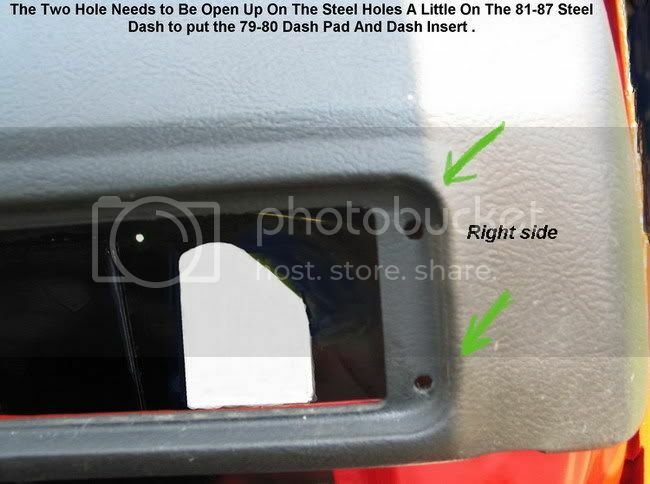 (5 ) change the dash pad to the 81-87 style. 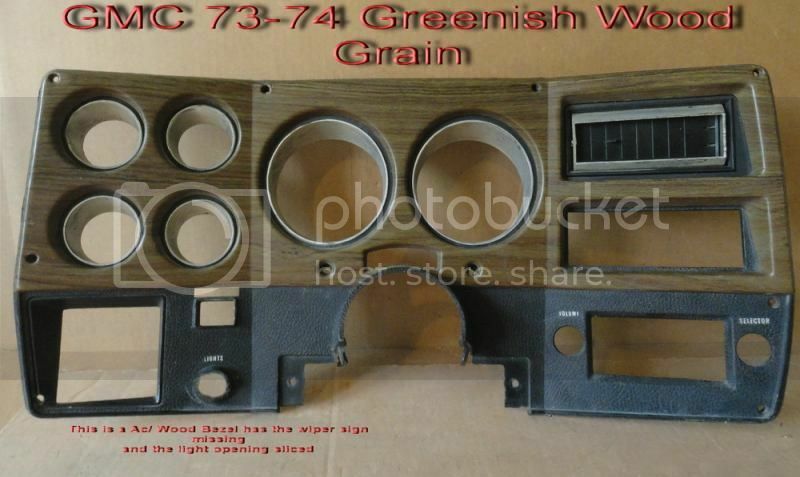 (6 ) Need the 73-80 dash pad to the work with the face bezel 77-79 style. 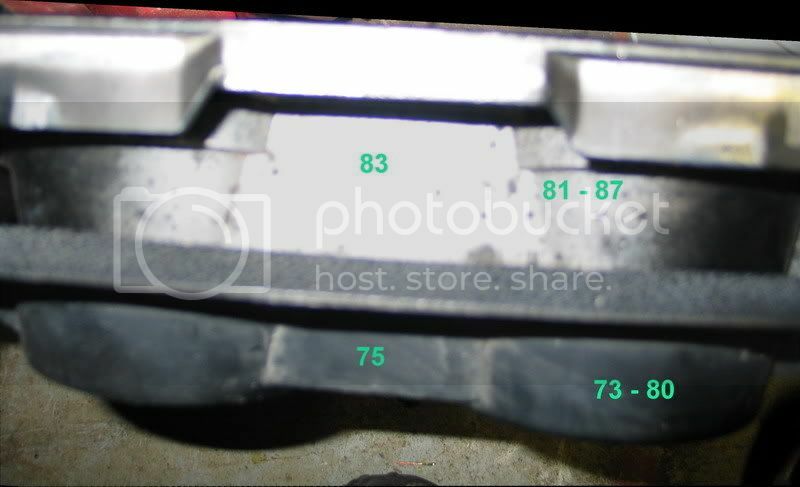 If you want it to be factory you need the 73-78 dash pad if you have the vin on the post. 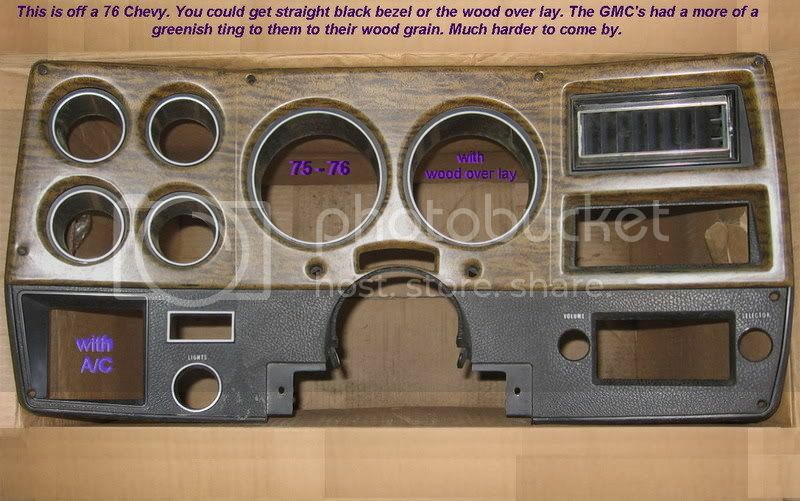 (7 ) Face Bezel 75 style see the different from 73-74. has to used With the 73-80 dash,& pad too. .
(8 ) Face Bezel 76 style with wood over lay. 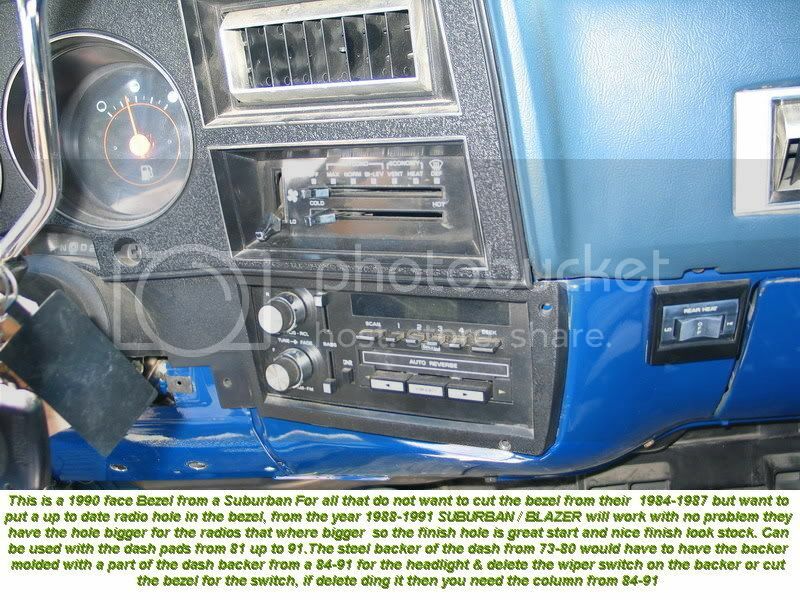 (9) Face Bezel 73-74 style has to be used Will the 73-80 dash,& pad. .
That is very good info thanks alot for adding it. I am sure it will help out others that want to update the interior of their older trucks. Oh I have add this info here for you mods. 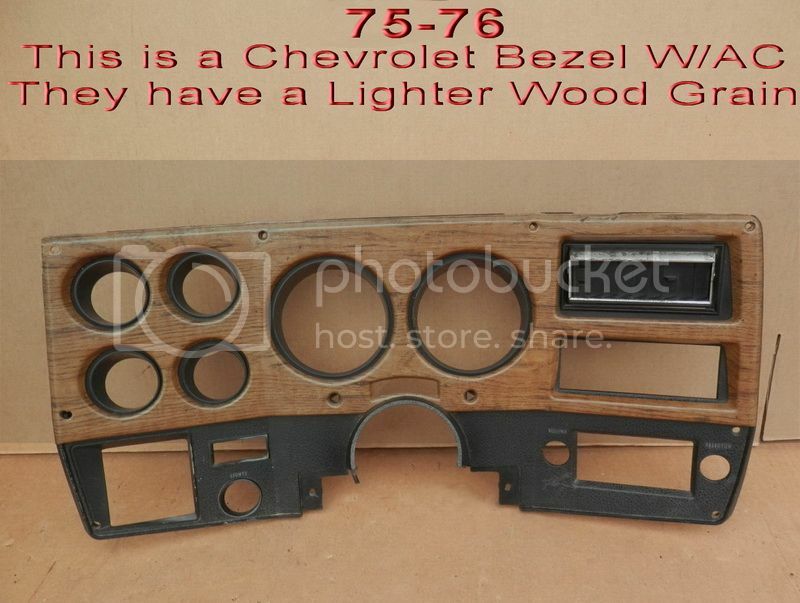 People that want stock look Bezel but want a new style radio or maybe want the 88-91 GM radio. 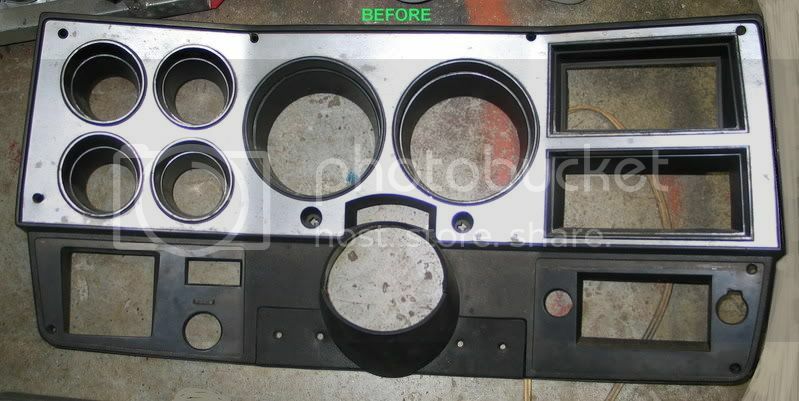 This Bezel is off a 1990 but all the 1988 - 1991 Surburban / Blazer will have the big factory cut for the bigger radio. 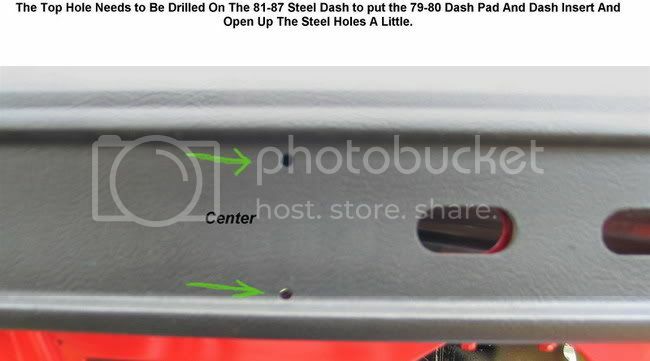 You should only have to drill two holes on the right steel backer of the dash at the bottom of the cut out top right of it. Because they made it a little longer for the 88-91 over the 84-87. This can be used on the 73-80 But will have to mod the headlight steel backer by cutting a big-washer or cutting out a piece of the 88-91 steel head light area backer weld in. It would be the easies way up date the column to the 84 - 91 with wiper switch on the column. UN less you want the switch on the dash then more mods are need it . As you look back to see what can be used with what. 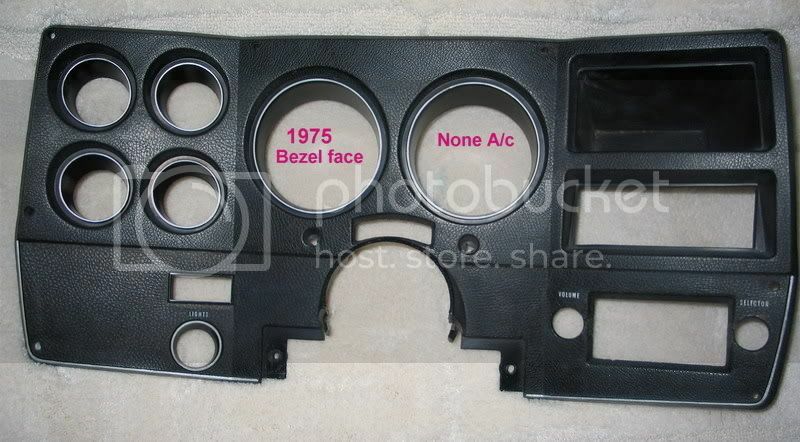 Oh this radio Bezel has to be used with the 81-91 dash pads. This works best with the 84 - 87 Trucks, Surburban, Blazer.